Very good review Smokey! saw some of this yesterday on a day out to Chester, wish I'd bought it now! Your description has made me add this to my wishlist. Pre cooking Xmas pudding mix, yummy! Glad you spared the canary or I'd have been ringing the animal welfare people :) We're getting into this review lark now aren't we fella. And unlike me you managed not to offend any Americans, well done! Good review.... As with all A Bunadhs batch 36 packs a punch, typical sherry monster, all those dried fruits making me wish it was christmas, and like you said every time you return to the glass it gives you something different....dont you just love it..
Great review, and no doubt another great batch of A'bunadh. Many of us can't get enough of this stuff, or sample too many different batches of it. 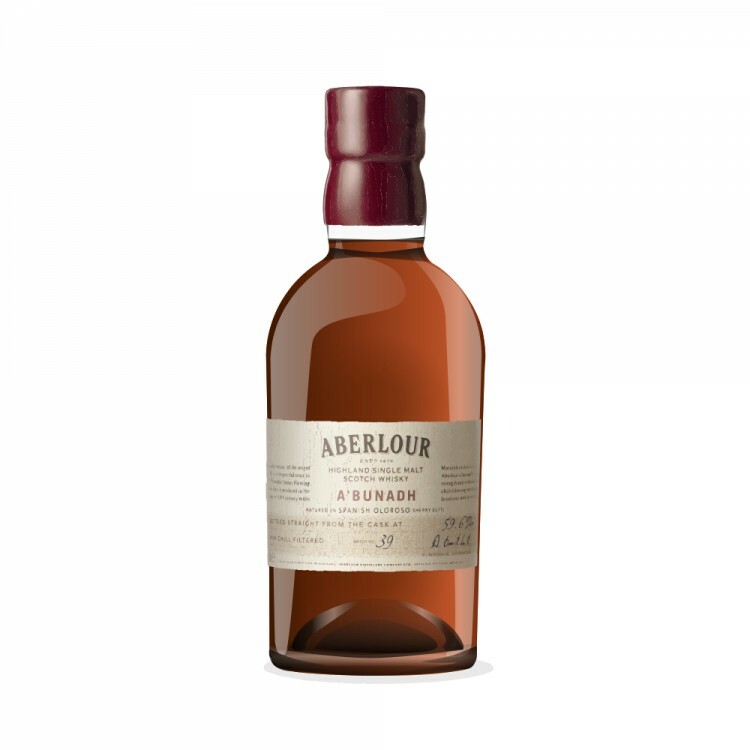 I would describe Aberlour A'bunadh as an exuberant and joyful whisky. Some of us are more likely to view any whisky sold at UNDER 50% ABV with great caution, if not outright suspicion. The intensity of alcohol greeting varies a lot, and on a subjective basis of what is 'smooth' is not so closely correlated with %ABV as one might suspect. Try some George T. Stagg at 71% ABV. Very smooth, and much smoother and with much less intense subjective alcohol greeting than some whiskies I know at 45%. @Victor - How true - thanks for the confirmation. I look forward to considering some of your recommendations. Some say its smoky and peaty, while others dont even mention these notes... So is it? And is this one safe to buy if one likes the other Aberlours? Thanx! I do like sherried whiskies... but it does'nt have to be dominant and should be well interwoven in between all other tastes. I like it in Bunna 12 and Laga 16, but I once had a Glendronach that was too much. Guess I prefer bourbon casks just a little more if I look at my favourites. But hey lets look for a sample first and make a judgement after tasting!